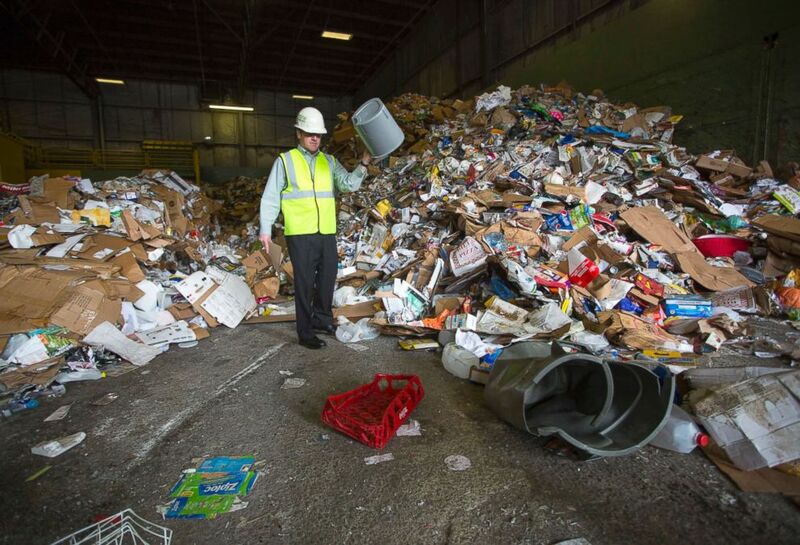 Ecomaine CEO Kevin Roche picks through unsorted materials after it was delivered to the facility in Portland, Maine, May 3, 2018. 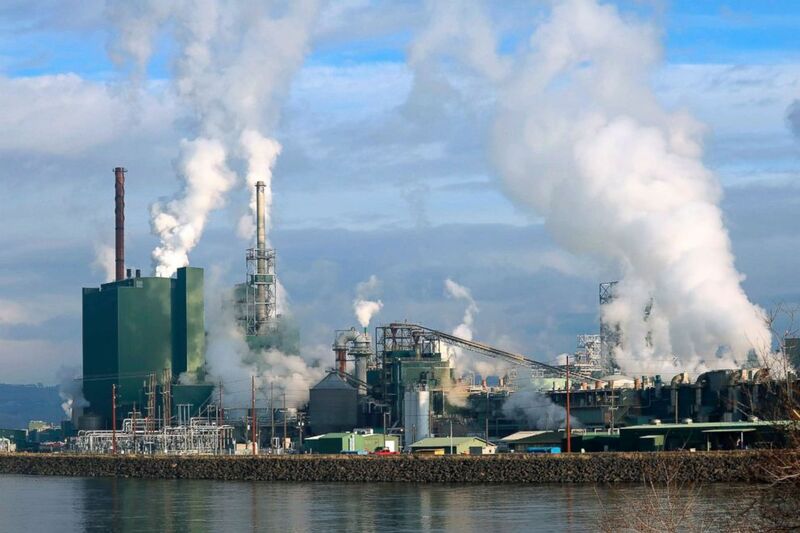 An industrial pulp mill facility operates along a river. 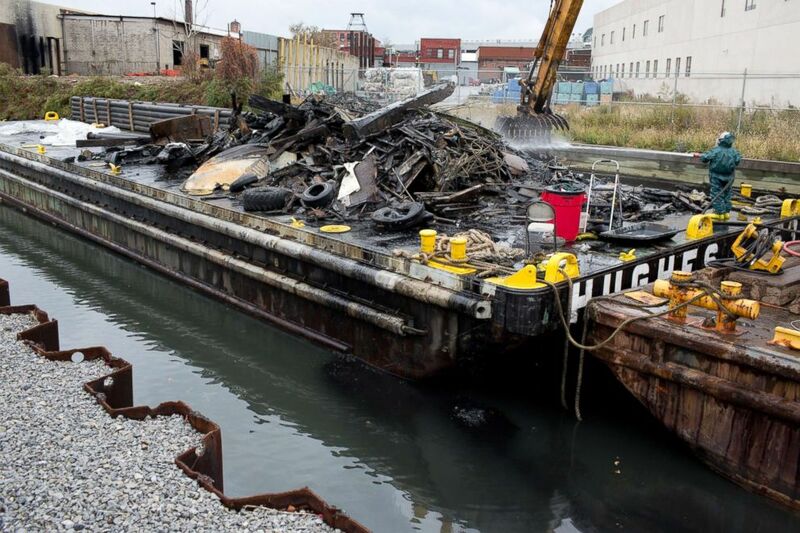 An EPA sponsored cleanup of the toxic Gowanus Canal dredges a section of the canal of industrial debris, Oct. 28, 2016, in Brooklyn, New York.